Stay with the present moment and focus. Be persistent and consistent; develop every day for the long journey. Employ empathy as the engine that powers all your relationships, all that is best in us. 1. Know your mission, your focus, your calling. 2. Work on it every day. Move the project forward steadily. 3. Face your doubts and move out in faith. You have more ability than you think. Doubts don’t define you. Your vision does. 4. Set careful boundaries. Don’t take on too much at a time. Keep focus on the epicentre, the main thing. 5. Continue to study your craft. Develop your skills and implement them. Read a book a week to develop it and find mentors who can help you. 6. Look for constructive feedback from wise peers. Good feedback sparks the imagination. 7. Think bigger. Keep developing your ambitions and have fun doing it. Build out steadily from where you are now. 8. Be generous, loving, forgiving, kind. Respect people. Help others succeed. Big dividends. 9. Become your best self. Keep growing, reading, thinking, imagining. Become a person of solid, dependable, high character. 10. Ask God to give you wisdom, grace and strength for the journey. Love, Prayer and Faith are the deepest structure of the universe. The transcendent is vital to human flourishing. They know how to balance work and play. They don’t get easily distracted. Daniel Goleman, psychologist and author of Focus: The Hidden Driver of Excellence, told The Huffington Post that empathy is one of the five components of emotional intelligence. In fact, being able to relate to others, show compassion, and take the time to help someone are all crucial components of EI. Additionally, being empathic makes people with EI curious about other people and leads them to ask lots of questions whenever they meet someone new. They don’t dwell in the past. a. Tai Lopez from California says we need to spend 33% of our time with people (dead and alive) much further ahead of us, 33% with people at the same place (friends) and 33% helping people that are behind us (people we mentor). See his TEDx talk. It is about finding your tribe, getting out front and leading them into change, to pursue remarkable things. The members of your tribe are your true fans (someone in the tribe who cares deeply about you and your work). 1000 fans form a tribe. This person connects with other true fans and amplifies the noise made by your art, your ideas. They carry a commitment for the cause. Key for the leader is turning casual fans into true ones. Fans look for generosity and bravery in their leader. Time and genuine investment should strengthen the relationships with fans. The market rewards innovation, things that make a difference: things that are fresh, outside the box, stylish, remarkable and new. It is fun, engaging and joyful to deliver on this front. It is about building something far bigger than yourself. The organizations of the future are filled with smart, fast, flexible people on a mission. A leader must have the will to make things happen. Barriers to Leadership: Fear is number one; it paralyzes us and encourages us to hide our ideas and our talents. People are afraid of blame and criticism and failure. Many of us have great ideas but we fear the cost of implementing them, taking them to market, fear that they might fail or get us fired. Fear is the opposite of faith. We have to admit that we are often driven by fear and then begin to manage it. The tribe can help you accomplish much more than you think and help you overcome fear. The strength of your vision as you refine it can help to overcome fear and develop momentum. Criticism and resistance by naysayers may be a prime sign that you are onto something great. Almost all the growth available to you exists when you aren’t like most people and when you work hard to appeal to people who are not like most people. The key: not everyone will like your ideas. Get used to it. Faith is the key ingredient to help you change things. One individual can bring much leverage to a situation, now in the Internet Age more than ever before. People who challenge the status quo overcome the resistance of people they trust, people they work for, people in their community. Faith is the unstated component in the work of a leader. Faith leads to hope and overcomes fear. Faith is critical to all innovation. Sometimes religion can get in the way of faith; it comes in various forms: spiritual religions, cultural religions and corporate religions. Religion can be used to enforce the status quo, and block the inspiration of faith. Everyone needs faith; it makes life flourish. You must have faith in your ideas and in the people in your tribe, in your mission. Faith gives you the edge to take risks, sacrifice, push the edge of the envelope. It helps you go the extra mile. Ordinary thinking and ordinary effort are almost never enough to generate leadership. It takes something extraordinary, a call to action that is irresistible, and a cause worth fighting for to make people actually join in. At the end of the day, he is talking about what Don Page calls Servant Leadership, which involves a lot of listening to your followers. Elements of Leadership: involves tremendous commitment. Stick with the dream for a long time. Leaders use charisma to attract and motivate followers. Leaders understand that change is key to success. Leaders employ imagination; they give people stories to tell about a new future. One of our PhD student colleagues attended a leadership conference with Dave Kraft recently and came to me the next week very excited indeed. I will relay some of his thoughts because leadership is an area in which we all must grow, even though it may not be on the curriculum of our degree program. We feel the tug of leadership when we teach an undergrad class or run a tutorial, lead a colloquium. I remember a special PhD student tutor in the killer course organic chemistry at Queen’s University who saved us from implosion in second year. He was wonderful and patient and clear. He was deeply committed to us and our learning–100% servant. I don’t know how I would have survived that course without him. His face and character remains a happy memory to this day. You will be called on to lead with your Masters and especially your PhD as future global citizens. I’ve just connected on LinkedIn with Dr. Katherine Excoffon one of our alumni who is leading a virology lab at Wayne State University in Dayton, Ohio. She has stepped up to the plate of leadership and shows a model of what can be our future (http://www.youtube.com/watch?v=40yIE1wbA5E). Faculty here have proved to be very helpful at modelling leadership; learn from their best characteristics. I have learned much from faculty here and elsewhere in my studies. Where would I be without them? But we can learn from top people outside the university as well. Reading good books on leadership is also a bonus; don’t leave it to the business students to think about leadership. A book called Integrity by Henry Cloud really impressed me a couple years ago, stressing the power of virtue in leadership, the impact of a person’s wake; Don Page’s book on Servant Leadership is very impressive in its breadth and depth and common sense. Humility, passion, servanthood, emotional intelligence are all key virtues to cultivate as we develop our academic expertise and contemplate the future. 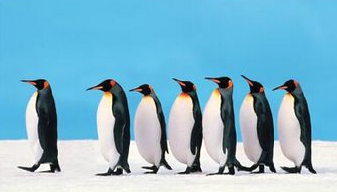 Become that leader you are impressed with. 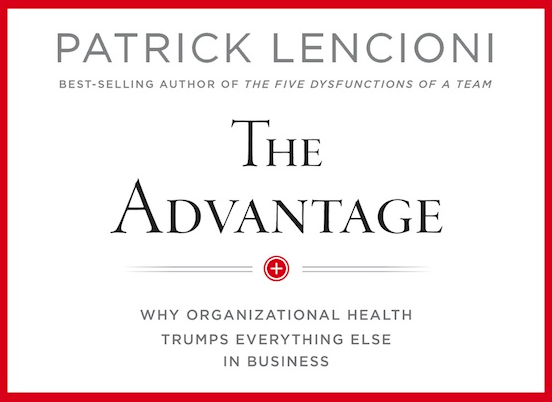 Patrick Lencioni’s best-seller The Advantage was the book promoted at this recent conference. I was convinced to read it immediately and I have enjoyed it and recommended it to several colleagues who are involved in supporting leaders. The book focuses on organizational health as a key advantage in leadership. The qualities of leaders is again emphasized. It is amazing how it parallels the virtues encouraged by the biblical authors and stories. 1. Find your Identity in a Credible Life. Character is just as important as competence, and we all know how important competence is in today’s world. Know yourself; take time weekly for reflection and a long walk in solitude. Discern your sources of motivation; there may be some dark stuff there that will trip you up some day. Deal with your ‘demons’ while in grad school. Drill down into your true calling rather than floating with what is pop or trendy (here today and gone tomorrow). Go for the deeper life connected to eternal values that have proved the test of time. Good mentors can have an influence here; seek them out. Dave had spoken about how important it is to say No to several things, in order to say a deeper and stronger Yes to your calling. This is the area of personal formation (aka discipleship for Christians). “Before you are a leader, success is all about growing yourself. When you become a leader, success is all about growing others.” Jack Welch. 4. Communicate Effectively and Excessively. Lencioni emphasizes that once a team has boiled down their essential values and core vision, it is an ongoing task to communicate those values, so that the message of one’s vision goes deeper and begins to engage people on your team and beyond your team. One way to do this is through developing a robust Linkedin profile to let people know who you are and what you hope to offer to the world, ot what you are presently offering to meet a need or fill a niche. I like his language over-commnunicate, meaning drilling down into that vision and its strategic objectives, talking about it from many angles, working out its implications for those you lead. People then begin to internalize and incarnate it. I think that although this is not the final word on leadership, it offers a helpful balance. Nelson Mandela built a good leadership profile through suffering and perseverence. Hopefully we don’t have to stay in jail for 27 years in order to become a great leader. Al Gore has offered a masterful statement in his 2013 book The Future: six drivers of global change, on what is needed in six areas of leadership for the twenty-first century. This is a very courageous discourse. This is the 50th anniversary of the death of C.S. Lewis, an academic in Oxford and Cambridge who gave much leadership in the area of the Christian mind. The C.S. Lewis Institute keep his conversation going. See also Don Page, Servant Empowered Leadership. Serves the followers for their benefit. Primarily serves the interests of the followers above selfish interests. Responsibilities to followers are more important than any positional entitlements. Based on respect and love for the followers. Maintained through internal influence. Willing to step aside for someone more qualified to lead. The position is held lightly. Never pulls rank to get own way as that would be hurtful to the colleagues. Accountable to everyone in the organization and outside constituencies as well. Welcomes regular personal evaluations as a means of improving the ability to serve followers. Loyalty comes through the inspiration in the heart and soul of the followers. Have a low turnover rate because people are valued for their contribution to each other and to the organization. Primary interest is in the well-being of their followers for their sakes. Puts the spotlight on others. Try this out! It works. Take a Risk Once in Awhile: Sometimes you need to take a ‘leap’ of faith. Don’t make a habit of diving into the deep end without thinking, but a few calculated risks can reap major benefits; they can be strategic. If your trajectory is good, the risk can be worthwhile as well. Assess the risk wisely with other trusted colleagues. Go ahead, ask for that raise or promotion; share your brilliant new idea. Be Comfortable with Yourself and Your Vision: Every successful person has experienced a time when they felt completely inadequate, lonely, without any support and without much confidence. Live within your skin and your narrative; think about what you can uniquely contribute to solve problems or make a better world. The more you believe in yourself and what you stand for (values), the more others will be able to see and understand your point of view and get excited about your project. Step into your domain and rally others. See the book Unstoppable. Learn to Adapt and Recalibrate: No one entirely likes being outside their comfort zone. Instead of giving into fear or panic, adjust to a changing environment, changing opportunities or changing relationships. Show the boss or others in your workspace that you are flexible and adaptable–a team player. This is an incredibly powerful skill to have as things keep changing faster. Social media is a good example for some who are older. Welcome Change as a Stimulus to Your Imagination: Change not only keeps us on our toes, but it also allows us to learn, grow and discover new things. Change for change’s sake is not necessarily healthy. Some traditions are worth keeping, and some methods are worth perfecting. Continuity in narrative is likely to be positive and build momentum. Learn from Mistakes: Don’t make a habit of committing the same ones over and over. Instead of dwelling on/obsessing over your errors, learn from them and make the lessons part of your mental furniture. Boil them down and re-invent them as opportunity for growth. Focus on the Future: If you need to make something right with a friend or co-workrer, by all means do so. But keep your energies and attention hard focused on the future hope/potential. Learn from history, but you can have a bigger impact on things going forward. Avoid distractions by trivial matters which can grind you down. Be Patient with Results: Good outcomes don’t happen magically overnight with minimal effort. If you want to achieve great things, then you need to invest time and lots of effort. Build your vision brick by brick and one day you will say, “Look at that, a house, a centre for community service”. Good things, eventually, come to those who understand the importance of patience and endurance, and even suffering. Celebrate the Good Work of Others: You are contributing to moral capital and the common good. Highlighting someone else’s good work can put yours in perspective. You look less jealous or petty and get on with approaching your goals; let them inspire you. Focus on the Things Within Your Theatre of Influence: Don’t worry about what others are not doing well. A focus on laziness, cheating or evil can be depressing. That’s their concern unless you are mentoring or supervising them. Drill down into your concerns; build your bridges; gather your troops/colleagues to move things forward. Fight Hard for that Good Goal: If you believe in something, be willing to fight for it, to hang in there when others have quit. Obstacles and challenges always arise in everything worthwhile. [There are times of course when you need to move on and give up on a bad idea or one that no one resonates with.] Sometimes however you are on the cusp of a breakthrough just when you feel that nothing is moving forward. Some have taken months or years to convince others of their perspective or great idea.